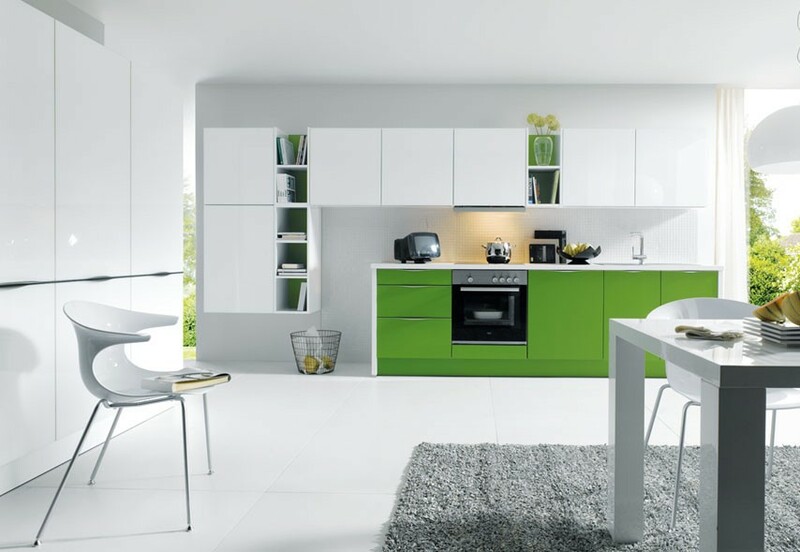 The golden rule to remember when choosing your kitchen design and colours is that it has to work for you. 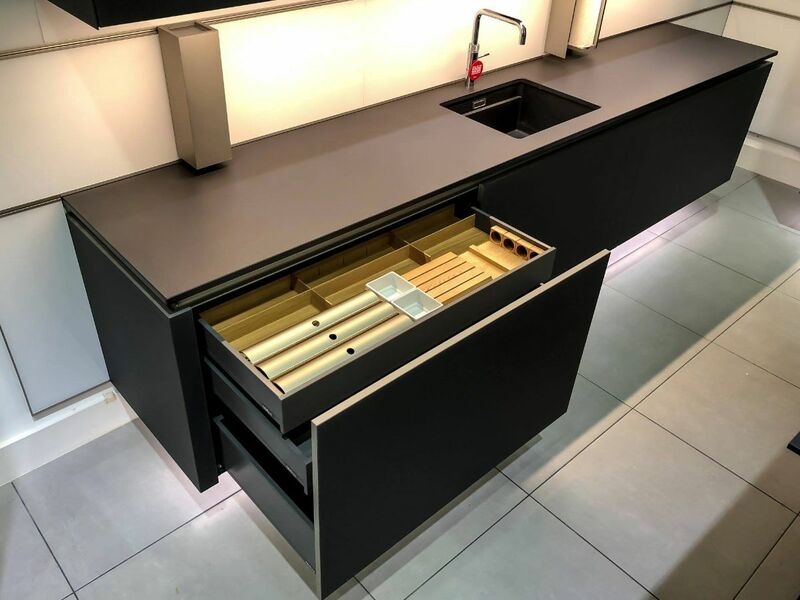 Your new designer kitchen will probably be the hub of your home and if you invest in a quality unit it will last a long time so you need to choose an appealing kitchen colour scheme you are not going to get bored with. The classic white kitchen will never go out of fashion. 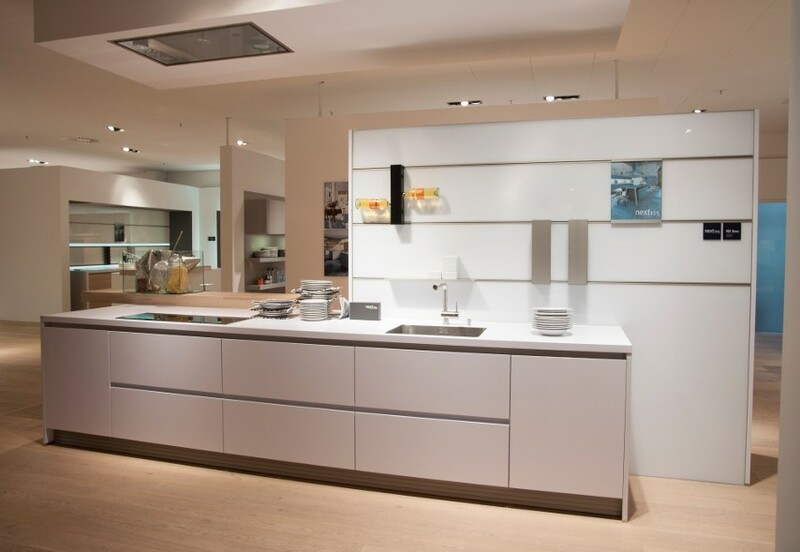 White units create a clean, modern look and also make a room look brighter and larger. If you are concerned about it looking too clinical then it is possible to inject some warmth and personality by introducing warm or brightly coloured accessories and accents. The beauty of choosing white and then adding the colour through accessories is that when you do decide you fancy a change it is far simpler (and cheaper!) to swap a few accessories than to replace your kitchen units. Pale grey kitchens are very popular at the moment. 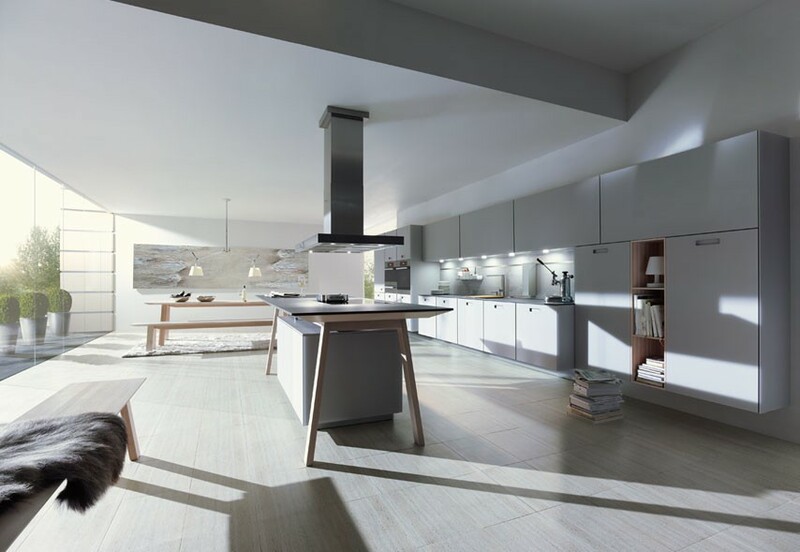 Whilst grey doors and surfaces still have the same pared back simplicity of white, they inject slightly more warmth into the kitchen than a bright white. This is perfect if you like the idea of a bit of warmth in your kitchen but prefer sides to be kept clear and are therefore not keen on adding coloured accessories. Whether gloss, matt or painted, grey is a striking, contemporary alternative to white. If you’ve decided you want a neutral colour but aren’t entirely convinced by either white or grey why not go for cashmere? 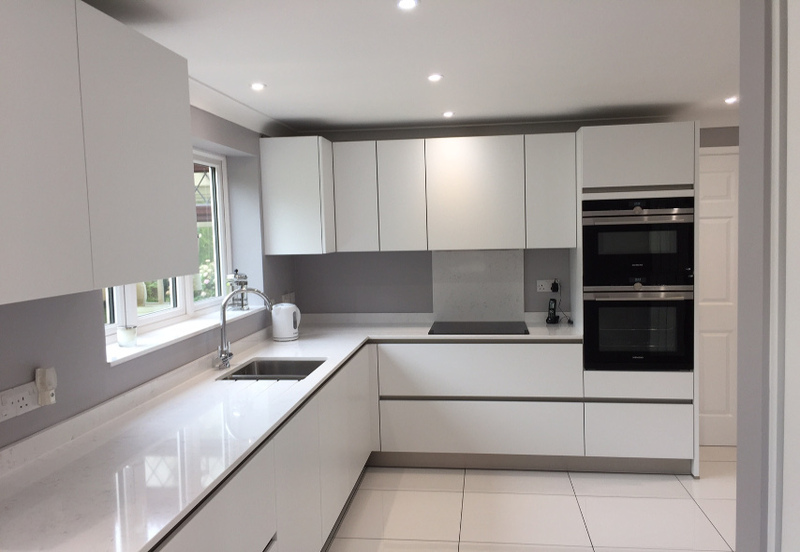 It is a light, warm colour which still produces the same space maximising effect of a white kitchen but is ideal for those who feel bright white is a little too ”clinical”. It is a very neutral colour which works well with a wide variety of different coloured accessories. 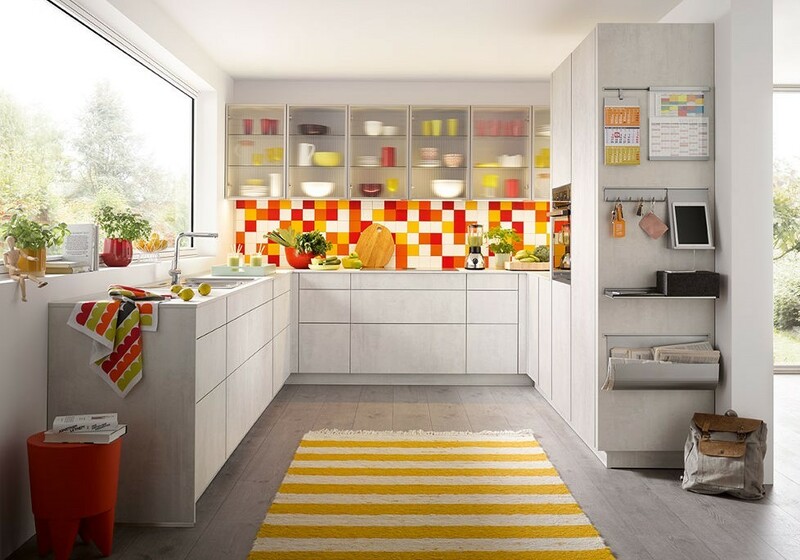 If you love bold, bright colours then a two tone kitchen is the perfect option. You can mix bold primary colours with white to stunning effect and the beauty of this option is you can choose as much or as little colour as you wish. If you really want to create a dramatic impact then you can have the majority of units in a strong, bright colour. If you don’t want the colour to dominate though then it is possible to select just a few units or shelves in your chosen colour. If you then want to increase the colour you can always add matching utensils, toasters and kettles etc. Alternatively you can still achieve a stunning two tone effect by choosing two subtler shades which complement each other. 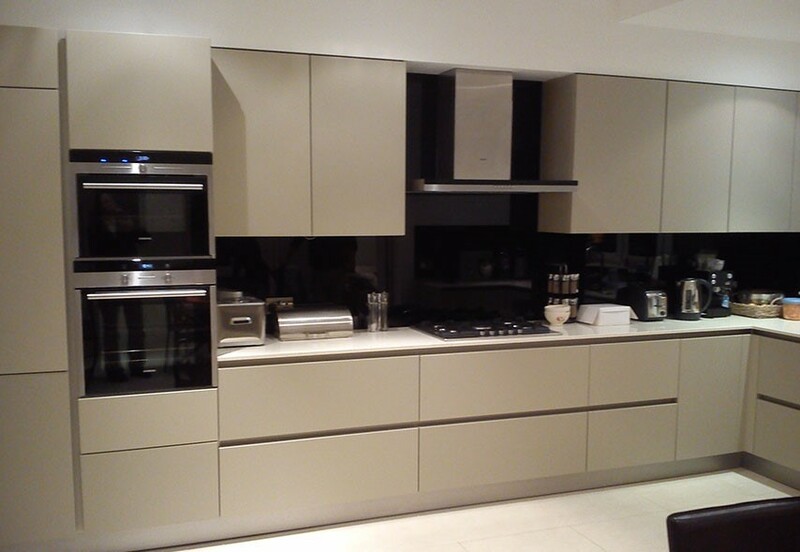 Our client kitchen pages provide an insight into the practicality and durability of some of these colours and designs. You could have a quick read on some of the informative customer testimonials.